Chinese OLED TVs are on the way, could drive prices down | What Hi-Fi? At the moment, the OLED TV market is dominated by LG. But the Korean giant is about to get some stiff competition from Chinese companies that threaten to charge much less for their sets - meaning cheaper high-end TVs for consumers. BOE, one of the biggest display-panel manufacturers in China, has joined forces with TV manufacturer Skyworth to produce a TV made in their native country, according to Korea IT News. As well as launching in China, it will also go on sale in Europe (though whether that includes the UK, especially following Brexit, we'll have to wait and see). Skyworth isn't simply dipping its toe in the OLED waters. The company has been making OLED TVs since 2013, but until recently has relied on LG Display to make its panels. By using a fellow Chinese company, it can keep costs down and potentially charge much less for the TV. The first all-Chinese made OLED TV is due to go on sale in China and Europe next year. If it can disrupt the OLED market as Chinese companies such as Huawei and Xiaomi have done with smartphones, prices could soon take a tumble. 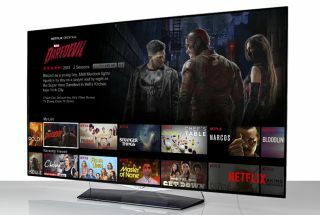 With a 55in OLED TV currently costing around £2000, it's a move that consumers would welcome.